A few months ago I launched Shards, a free UI toolkit based on Bootstrap 4. It received a lot of positive feedback and one of the most popular product requests was a template pack for admin dashboards based on it. 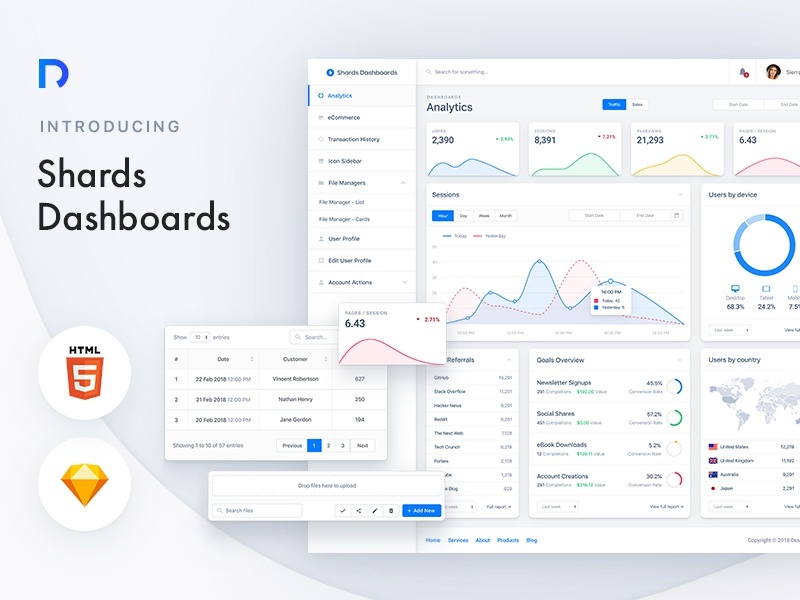 🎉Here I am now, ready to introduce my first premium product in the DesignRevision store: Shards Dashboards, a high-quality UI toolkit for admin dashboards based on Bootstrap 4. – Packed with lots of custom templates and modular components. – Supports multiple third-party plugins, including DataTables, Dropzone.js, Bootstrap TagsInput and more. – Improves upon Shards’ modern design system. – Fully responsive and well documented. – Every purchase comes with 1 year of support and updates. As always, any kind of feedback is welcome! 🙌If you like it, make sure to use the DRIBBBLE20 code for a 20% discount!